England take on New Zealand over two tests in their final warm up before this summers Ashes, and English cricket could barely be at a lower point in the build up. Although not entirely disgraced in the West Indies, a draw was far less than some people expected from the England team, not least incoming ECB Chairman Colin Graves, who said there would be ‘some enquiries’ into the England set up if they failed to beat what he labeled a ‘mediocre’ West Indies side. He takes his post on the 15th of May, and it seems he will get every opportunity to stamp his mark on the English game. New Zealand fell short at the final hurdle in the World Cup, losing to Australia in the final, and they travel to England full of confidence and a settled side. They are a decent price to take advantage of England’s ability to lurch from one crisis to the next. There was a glimmer of optimism in the West Indies tour when England took the second test, but they were quickly brought back down to earth as the hosts won the third test to draw the series. James Anderson’s performances were certainly a bright spot, as was some of the middle order batting, but questions remain about the opening partnership and the use of spin bowlers. Jonathan Trott announced his retirement from International cricket shortly after the tour, despite having only just returned to the fold, stating that he felt he wasn’t up to the standard required any longer. He hadn’t been able to build a partnership with Cook, and managed just 72 runs in his six innings. Cook chose the surprising route of criticizing his new boss, when he said that Colin Graves had effectively given the West Indies a teamtalk with his ‘mediocre’ comment, and that was backed up by West Indies coach Phil Simmons who admitted to posting the new ECB Chairman’s comments on the dressing room wall. However, that would paper over the cracks somewhat, and England can’t blame anything other than their own performance on the pitch for their failure. Geoffrey Boycott has added fuel to the fire by claiming Yorkshire would beat England, and he has been very vocal in his disapproval of Alastair Cook’s captaincy. There’s an awful lot going on at the top level of English cricket at the moment, with Colin Graves set to take the role of ECB Chairman, and Andrew Strauss looking likely to take the newly created role of Director of English Cricket. What that means for the future of the English game remains to be seen, but the more immediate task is to rebuild a squad low on confidence in preparation for the forthcoming Ashes. It doesn’t help that Australia are at the top of their game, and England badly need to find some sort of morale booster from these two tests with New Zealand. The first question to answer is who will partner Alastair Cook at the top of the order, after the failed experiment with Trott in the West Indies. Yorkshire’s Adam Lyth is still uncapped, but he is the front runner to be thrown into the mix against New Zealand. Bringing in new players might just be the route to England’s salvation, although there is no need to panic and make wholesale changes just yet. One player who was awfully unlucky not to get a run out in the West Indies is spin bowler Adil Rashid. The slow, turning pitches appeared to be perfect for Rashid, but he remained unused on the tour, with Cook and England Coach Moores electing to stick with Moeen Ali. They’ve been criticized in some quarters for this as evidence of a safety first approach, and it does seem surprising that Rashid wasn’t given at least one opportunity to chance his arm. England’s lack of spinners also served to highlight how reliant they have become on James Anderson’s bowling. He overtook Ian Botham’s record as England’s all-time test wicket taker during the tour, but England can’t rely on him to produce the magic each and every time. He took 17 wickets in the West Indies, with Stuart Broad his closest supporter with ten. Pace bowlers Chris Jordan and Ben Stokes could only contribute nine wickets between them over the three tests, and it shows a lack of depth to England’s bowling attack. With England in disarray and a captain and coach who both seem unpopular with the incoming ECB Chairman, preparation for this series and the Ashes could hardly be worse. England have made a habit of losing matches over the last year, and they are hard to back with any real confidence in any match. New Zealand haven’t won a test series in England since 1999, with England winning three tests since then in 2004, 2008 & 2013. However, they accounted for England easily in the World Cup, and while test cricket is a completely different animal, they won’t get many better chances to win on English soil again. In contrast to England, New Zealand have made a habit of winning matches over the last year, with their record in 2015 particularly impressive. They’ve won 18 of 21 games across all formats over the last six months or so, and can take to the pitch at Lord’s with plenty of confidence. 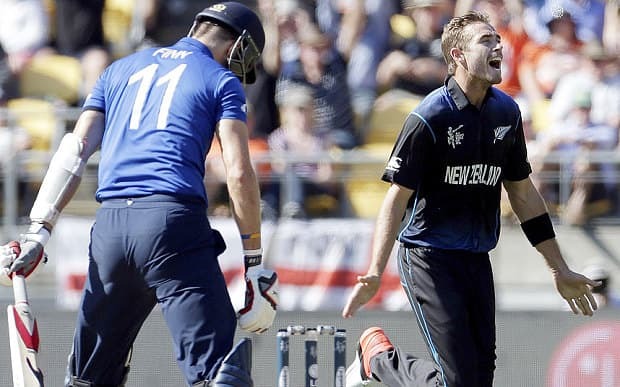 England might just wilt under the pressure once again, and the price on New Zealand is worth taking. Both Skybet and Boylesports will pay 1/1 2.00 +100 1.00 1.00 -1.00 on New Zealand Draw no Bet for more conservative punters, but we’ll wade in on the straight victory at the bigger odds.